Morning sickness may the one of the first signs of pregnancy. So, except being surrounded by the joy of having a new baby, many new mothers are confused about the morning sickness which is experienced as nausea and vomiting. The first signs of pregnancy often include nausea which usually begins between the 4th and 6th week of pregnancy. Morning sickness may be mild or hard, may last a couple of days or even a few months, but for the sake of the babies and pregnant women, drugs should be avoided as much as possible. Here are some natural home remedies for morning sickness. 1. 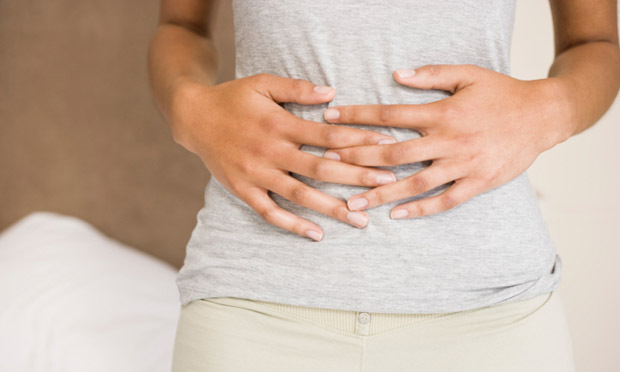 Try some herbal teas to soothe the stomach and reduce nausea. A cup of ginger tea may be a good option once you feel queasy. Chamomile, lemon balm teas works well in reducing nausea. And the red raspberry-leaf tea can combat morning sickness by relaxing the smooth muscles of the uterus. But the raspberry leaves may cause uterine contraction, so, check it ahead with your doctor. 3. Identify the scents that may trigger the sensation of nausea and avoid sniff them if possible. The scent of lemon seems useful for soothing morning sick. You can sniff a slice of lemon or drink lemon waters. 4. Take a walk to can help alleviate symptoms and build-up a healthy body. Get out of bed slowly, avoid sudden moves. 5. Keep the intake of Vitamins and supplements. Chewable Pre-Natal Vitamins are easier for digest, but you’d better take them before bed and some saltine crackers can be taken together with the Vitamins. Vitamin B-6, 25 mg every 8 hours can reduce the nausea and vomiting effectively. And increase B-complex vitamins, zinc supplements and iron take. 6. Ginger, fennel, mint, lemon, lavender and thyme are proved useful for some women to reduce the symptoms of nausea and vomiting. Chew crystallized ginger or have a cup of ginger ale are good, and ginger root in capsule form are an option too. Fennel seeds and mint contain anesthetic constituent that can reduce queasiness. Lavender and thyme may drive the annoyed scent away and have soothing reputations. 7. More consumption of water is important. It seems that a glass of water every hour is a effective and simple way for reducing morning sick. And frozen fruits can ease the feeling of nausea and vomiting as well. Stack up fruit-bars in your refrigerator to replace the sugars you have lost by throwing up.